Replace your old hot water tank with a high-efficiency tank. We help you save money on your gas and electric bills by installing all new gas water heaters with anti-rollout flame ignitions for additional safety. 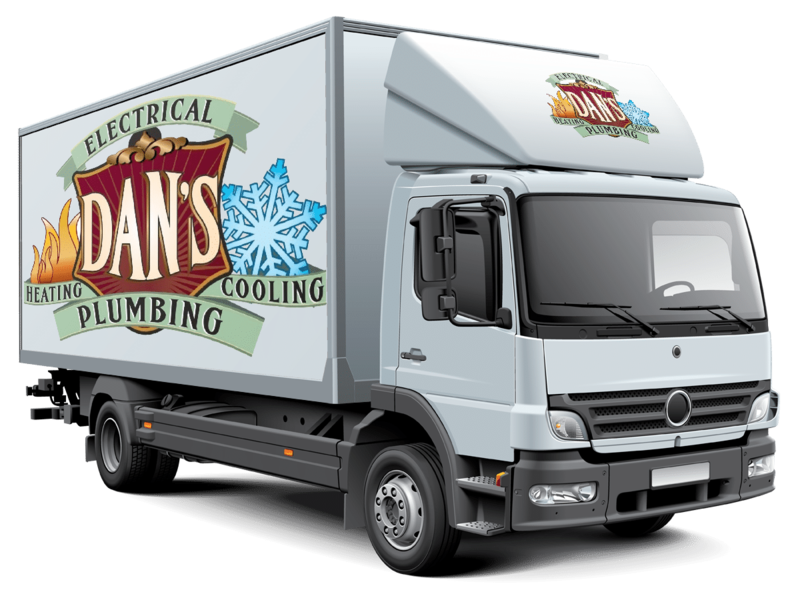 Dan’s Plumbing Heating & Cooling understands you need your hot water heater installed as soon as possible, which is why we offer fast replacement service to fulfill your needs. The types of water heaters we service include electric, gas, and power vent. Avoid damage to your home with leaky pipe repair. By calling our professional company, you can avoid any long-term damage to your home’s plumbing system. A build-up of calcium in your water supply causes damage to your pipes and appliances. To prevent this from occurring, contact us to install an efficient water softener system below your sink to reduce the amount of calcium in your water.